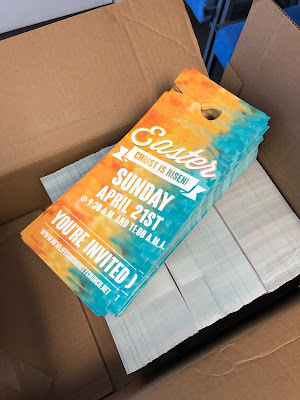 newlifecommunitychurch.net: The Easter door-hangers arrived! 2) Pass them out on your block - Grab a handful on Sunday and pass some out in your neighborhood. Let’s pray that God uses our church to help people know Christ.